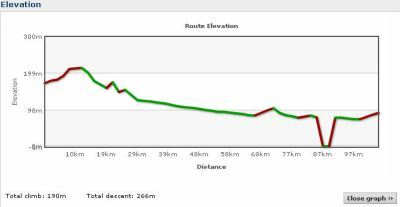 An easier day of 140 kms, with what looks like a hill (it will be great to have some hills after so long on the flat). 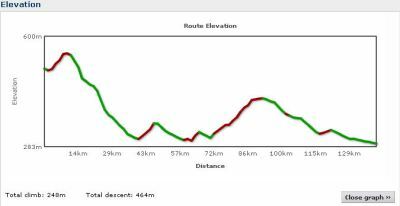 A solid flat run heading through Bookabie and Penong, if the breeze stays down it should be a relatively easy day. 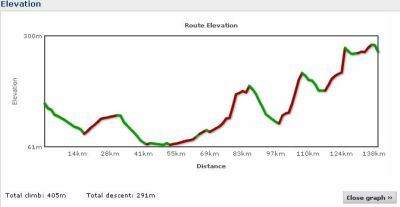 This will be interesting – looks like 173 km of a slow long climb. 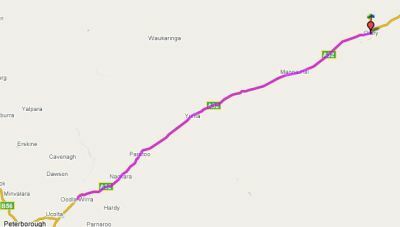 Passing through Merghiny, Puntabie, Wirrulla, Yantanabie, Cungena, Poochera and Karcultaby on our way to Minnipa. 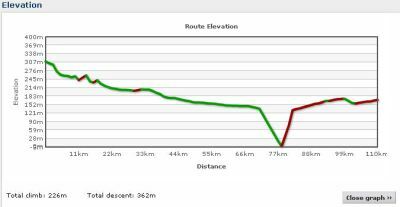 A bit of an up and down day which finishes up, up and up (don’t you just love that! 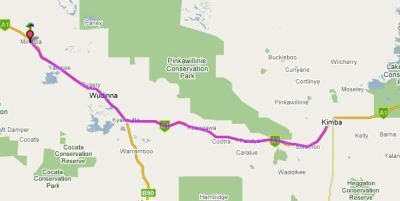 ), as we pass through Yaninee, Pygery, Wudinna, Kyancutta, Koongawa and Solomon heading to Kimba. These may well be famous last words, but it looks to be an easier day. 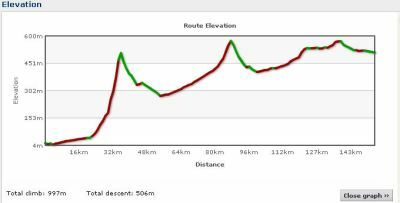 The elevation chart makes it look like 155 km mostly downhill, so it will be a fairly flat run. 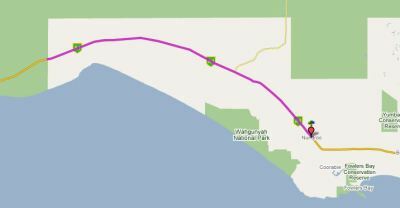 At 155.2 kms passing through Iron Knob to Port Augusta, it will start to feel like were hitting civilisation. 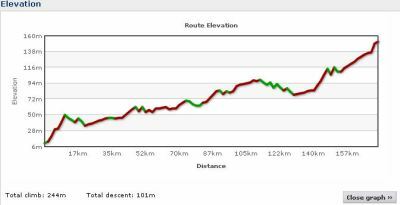 A nice hard climb to start the day (!) 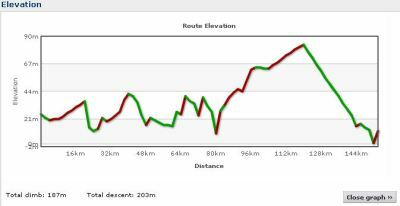 and then a bit more climbing during the day through Innonowie, Wilmington, Willowie, Morchard, Orroroo, Black Rock, Peterborough and Ucolta on our way to Oodla Wirra. 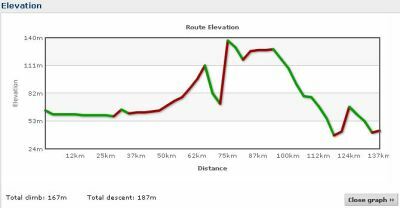 After some decent climbs yesterday, day 17 looks to be a nice long downhill before a small climb in the middle stages on our way through Nackara, Paratoo, Yunta and Manna Hill to Olary. Jack turns sweet 16 (!) 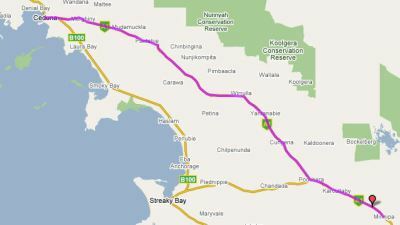 today and we have a relatively comfortable 117.5 km ride through Mingary, Cockburn and Burns to Broken Hill. 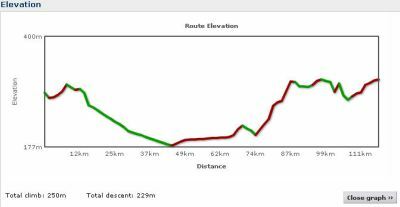 A bit of a climb in the later stages, but mostly flat. I’m sure we’ll celebrate Jack’s birthday with a chocolate cake. 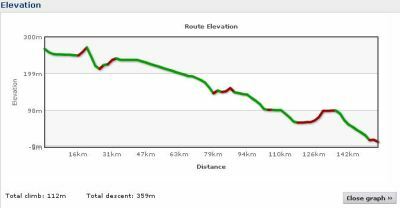 A nice easy day out of Broken Hill through Mt Gipps to Little Topar. A chance to get some rest for some harder days ahead. 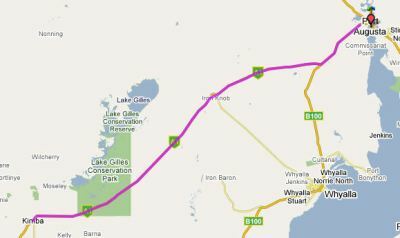 The 2nd shortest day of the entire trip – a flat ride through to just outside Wilcannia. Kate Leeming of Melbourne was the first woman to ride across the new Russia. Kate is also ranked #3 in the world in Royal (Real) Tennis. 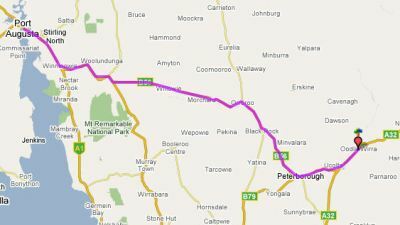 Kate rode around Australia - 25,000 km in 9 months in 2004. Kate's advice to Jack at dinner - "Just pace yourself like me, Jack, and you'll get there." Discussing how to eat the enormous dessert they both had in front of them when they had dinner in Melbourne in December 07!